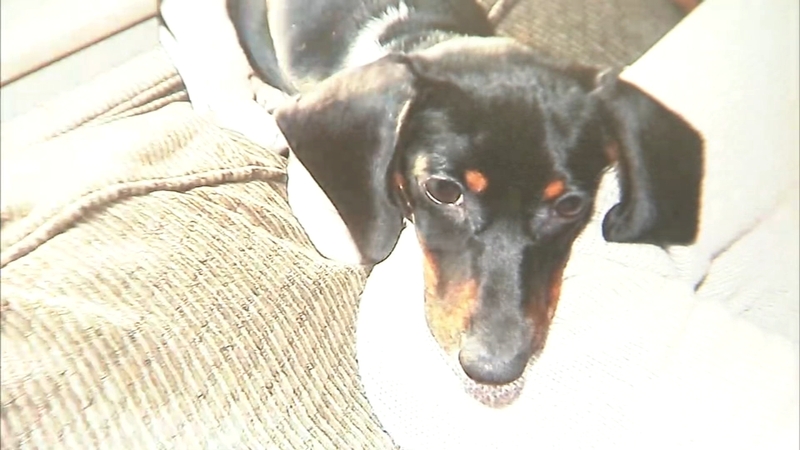 Darla Miles has the latest information on the search for a therapy dog in New Jersey. 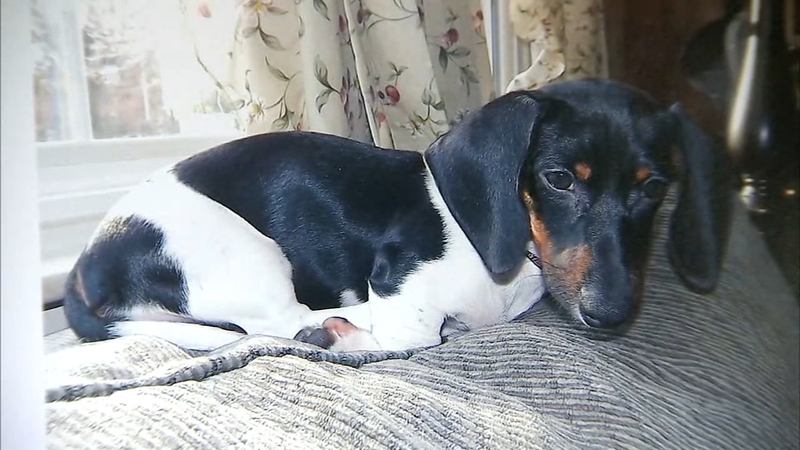 PERTH AMBOY, New Jersey (WABC) -- A family from New Jersey is desperate to find their missing puppy. 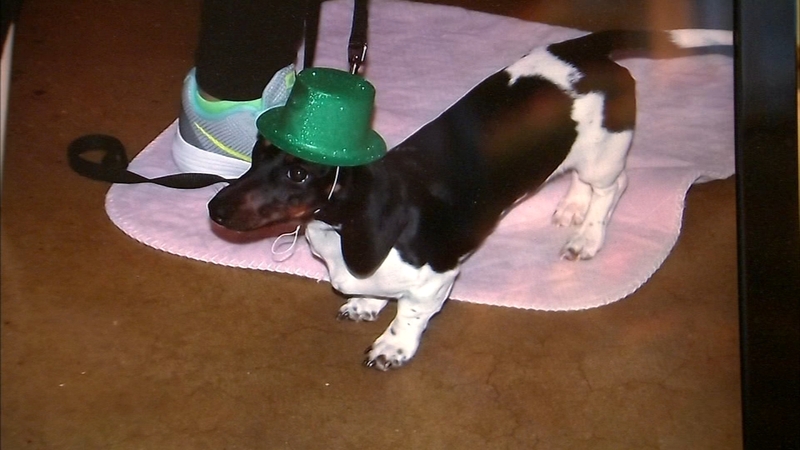 Pebbles, a black and white Dachshund, is a therapy dog for sick children and adults. She disappeared from her family's home in Perth Amboy almost one week ago. Pebbles only dresses up for work. "She is my dog, I love her. But more importantly too, she is a dog for these patients," said Arleen Adams, dog's owner. The 1-year-old therapy dog wears creative costumes when she visits cancer patients at Robert Wood Johnson Community Medical Center in Toms River. She also comforts special needs and autistic children. "The children will not talk to us, but they will go near the dog. The teacher will take the child's hand and say, 'OK, would you like to pet Pebbles?' And they will take the hand and put it on her back," Adams said. But Pebbles is a Dachshund with the soul of a hound. Last Wednesday morning, she chased a small animal out of a hole under the fence of the family's home on Shepard Avenue in Perth Amboy and kept going. "My neighbors across the street were pounding on the door and said, 'Oh my God! She's running down the street!'" Adams said. Another neighbor then spotted Pebbles crossing the busy highway, West Pond Road. Adams went after her, but had no luck. "By 1:30 the fire department saw her in the next town, in Hope Lawn," Adams said. Adams has passed out 300 flyers, but there's still no sign of her. "I'm really hoping some kind soul has her and will see this and will say, you know, it's important for her to get back to what she should be doing for the holiday season," she said. Adams is offering a cash reward, no questions asked. If you know of the dog's whereabouts you can contact Perth Amboy Police at 732-442-4400. Pebbles can also be dropped off at the Perth Amboy Animal Shelter at 599 Fayette St., Perth Amboy, NJ or the Woodbridge Animal Shelter at 195 Woodbridge Ave., Sewaren, NJ. "My husband said this would be a Christmas miracle for us. My husband had cancer and that's why we started all of this," Adams said.